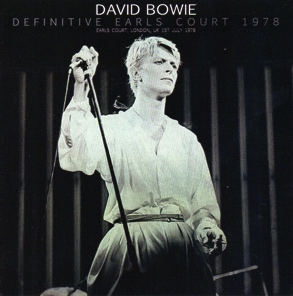 David Bowie 1978-07-01 London ,Earl’s Court – The Definitive Earls Court – (Wardour 261 Release). Sound Quality:very good. Equals record or radio apart from a slight noise and some dullness. 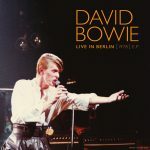 Now here comes a real sensation….a new November 2013 bootleg from Japan features the 1st half of the last European 1978 concert of David Bowie in soundboard quality. 1 song from this SBD source was previously released on “bootleg”, but the rest was uncirculated outside of the “important collectors” circles. They didn’t want money to be made on it, or something…. Well; if I had been getting to listen to this show for free I obviously would not had been purchasing this Japanese bootleg now. And there are far worse things than the “bootlegers” around as far as ethic issue and “undeserved money” is concerned. Maybe one’s “moral stands” could be used for something less navel-gazing than hoarding great recordings? Anyway, after 35 years of waiting, this London recording is available to the “common guy” for enjoyment. Thanks to the person who made this available to the public. Quality here is VG-EX SBD for the 1st half of the show. Great performance, and also: the only performance of “Sound And Vision” in 1978 (as far as I know). plus the offical 2LP release “Stage”. 2nd half of this bootleg is taken from an audience source. I don’t know who taped that one.